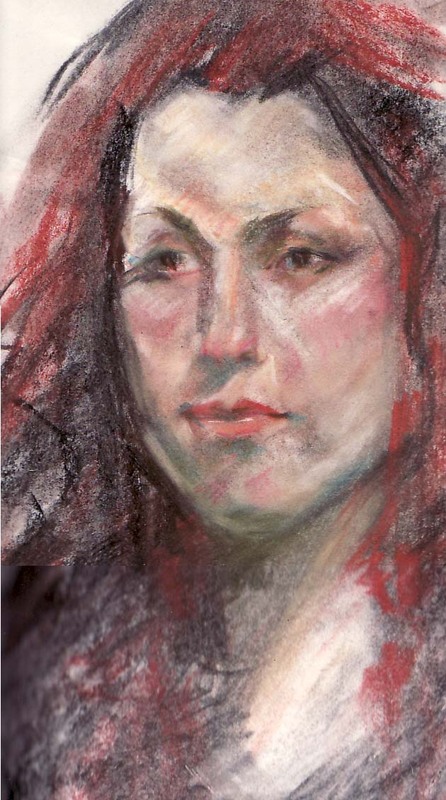 A pastel sketch from the painting and drawing class I went to. This went through many stages of "getting it" and "loosing it". Now it's somewhere in the middle. Some of it works and some of it doesn't. But I've really enjoyed making all these discoveries! My gosh I need to come by your blog more often! Thank-you! It's great to get some feedback. It's good to hear/read from you! From the beginning of the year I've really been trying to build a new folio-I'm on the hunt for work!! i like your stuff, i'm keeping an eye on your blog..
Hello Dahni Thanks for your comments. It's always good to get some feedback! I'll be updating it a little bit more regularly so pop back soon! I'm going to check out your stuff.